Twelve years ago at the age of 35 I weighed a whopping 71kgs! Height: 1.50m (I was obese). 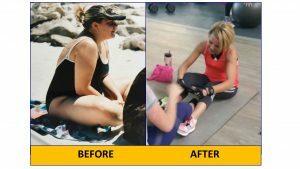 I needed to loose the weight … but I needed help! I was fortunate enough that I knew Barbara already. So I enlisted her help and at the same time signed up with a dietician. I knew I desperately needed assistance in both areas. I created the support structure that would come in handy for the next few months. Barbara gave me the determination and motivation. She believed in me, so I started to believe in myself as well. I didn’t want to let her or myself down. I started to loose weight, plus my confidence and self-esteem had risen much more than I ever expected. Barbara’s energy, constant motivation is what kept me going! The changes within me are not only to my benefit, but also to everyone in my life who mean the most to me, my family. Fast forward to 2016. Age 47, I now weigh 51kgs. I train 5 to 6 times a week. 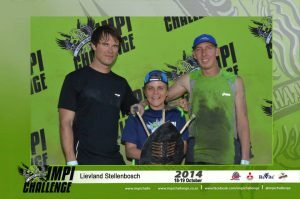 Run10km races, kayak, cycle, completed the IMPI challenge. I wouldn’t have considered any of these activities at my previous weight and appreciate my ability to do them. All I can say is thank you Barbara!